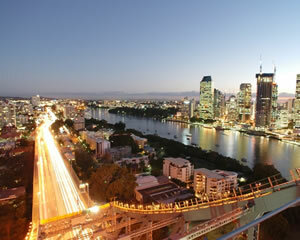 The Story Bridge in Brisbane is an iconic landmark and the view from the top is breathtaking. A Story Bridge Climb is the perfect way to get up close and personal and take in all its beauty. The Brisbane city views are also amazing so a bridge climb on the Story Bridge is something that must go on your to-do-list! The Story Bridge Climb is something everyone should do when in Brisbane. You can share it with friends and a Story Bridge climb voucher makes a perfect present. 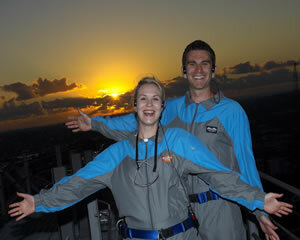 You should get book your Brisbane bridge climb adventure today. You will not regret it and the views will stay with you forever. Join us for the most exciting, new experience in Brisbane. Long the domain of Sydney-siders, Brisbane can now revel in its very own Story Bridge Adventure Climb experience. 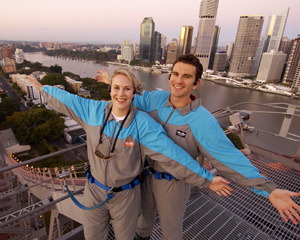 This 2.5 hour adventure will see you climbing the iconic bridge over the stunning Brisbane River! 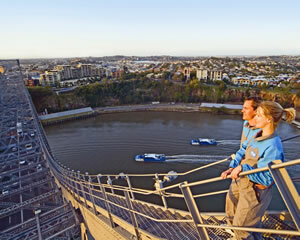 The Story Bridge Midweek Daytime Climb is a an adventure experience with a difference and the most spectacular way to discover Brisbane. Whether you are a local or a visitor, youll be exhilarated. 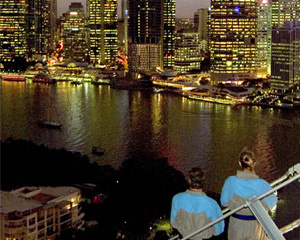 The Story Bridge Midweek Night Climb is a an adventure experience with a difference and the most spectacular way to discover Brisbane. Whether you are a local or a visitor, youll be exhilarated. The Story Bridge Midweek Twilight Climb is a an adventure experience with a difference and the most spectacular way to discover Brisbane. Whether you are a local or a visitor, youll be exhilarated. There's no better way to spend a leisurely afternoon as your leader identifies the citys landmarks. Take in the 360 degree view from the Gateway Bridge to the Glasshouse Mountains, west to Mt Coot-tha, and south to Lamington National Park. The Story Bridge Weekend Dawn or Night Climb is a an adventure experience with a difference and the most spectacular way to discover Brisbane. The Story Bridge Weekend Twilight Climb is a an adventure experience with a difference and the most spectacular way to discover Brisbane.